Part Two concerns design, and how to work with a jeweler to create a piece you enjoy. One of my rings began life as a Victorian three-stone ring, similar to that shown, but with a pigeon's blood ruby flanked by two diamonds. The delicate platinum filigree setting was not a pleasing proportion for my finger and it always twisted. My jeweler at first didn't want to touch it, because the antique setting was so finely-wrought. She eventually saw that I was not wearing the ring, and did not wish to sell it. 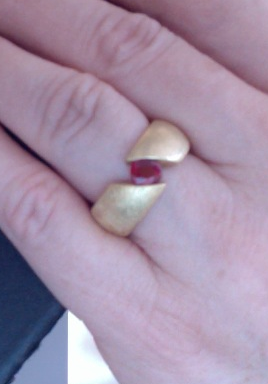 Her partner reset the ruby in an 18k true tension setting; it is now a simple, dramatic modern piece. 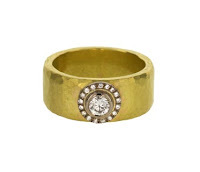 The cost for the resetting was $2,400; there is a lot of gold in that ring. This is an example of a "iffy" decision; the ring was not ugly or out of date, but I wasn't wearing it. When a piece is in that category, it can sit in your box forever, while you dither. I saved the setting and side stones so it can one day be returned to its original version, if desired. If you have a beautiful setting, be sure that it is not damaged in the retrieval of the stones and ask for its return, intact. When she was in her mid-20s, Barbara inherited a Cartier ring from her aunt and made it into a pin. The jeweler kept the setting and credited Barbara for the platinum. (This explains how a ca. 1920s Cartier ring with inferior stones that the house would never have used might enter the market.) Is she sorry now! The materials you have may limit what you can do, but don't forget that you can add stones, change the colour of the metal, or migrate one piece into another type. For example, a brooch can become a bracelet, or a ring can become a pendant. 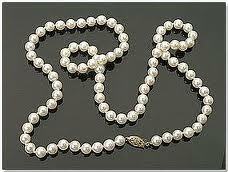 You can combine your pearls and an unworn ring, using the stones in the ring to make a unique clasp. 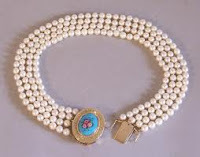 Here's an example of an enameled locket used as a clasp. One client took a fussy necklace of small diamonds, harvested the stones, and now has a stack of eighteen 18k thin gold bangles sprinkled with the stones. 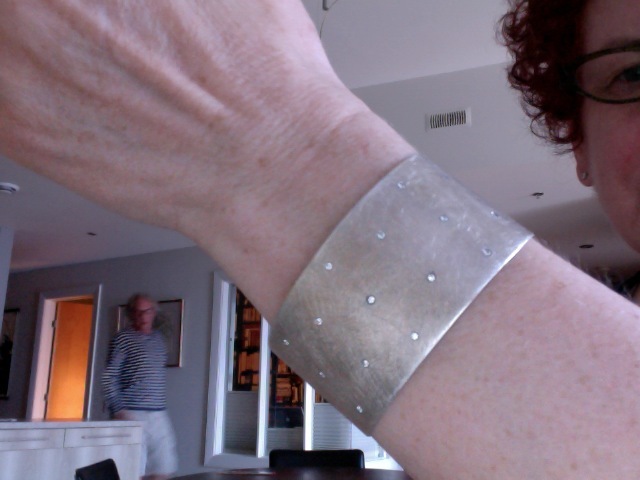 Here's a silver and diamond cuff, a 25th (Silver) wedding anniversary gift from Le Duc; you can just see him in the background. 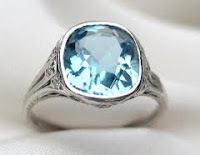 Mine was not a reno, but the design could easily be adapted for odd-sized small diamonds or other stones. Whether made in silver, gold or platinum you'd have a tailored, wearable piece. Some jewelers thrive on the challenge of restyling, others would far rather sell you a piece from their case or take an order for the same thing they've made for years. Be sure you find one who's passionate about restyling. Some jewelers will not touch pieces they have not originally made; others have no qualms about revising other artisan's work. A jeweler might not have the skill to undertake certain techniques; if one says it can't be done, get another opinion before abandoning your idea. If you haven't dealt with the jeweler before, bring or send photos of your favourite pieces, so she can see what you are wearing now. Though you may want a complete departure, your current favourites show your preferences. Talk, take your time, and trust your instinct when you see a design you love. Restyling is worth it if you like elements and are interested in giving them a new life. But if you're not a cameo woman, for example, no amount of restyling can make you love that, so pass it on to someone who does, via a sale or a gift. - made with magnificent workmanship. Some techniques are no longer done today, and it's a shame to tear down such a piece for a few modest stones. 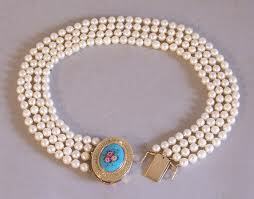 Restyle Aunt Jo's plain 7mm pearl necklace with the flimsy fish-hook filigree clasp; sell the busy bracelet you got from an ex. Restyling an out-of-date engagement ring is a great way get a gorgeous new piece; I've provided some ideas for using diamonds here. Finally, think of restyling as a responsible way to use resources, to enjoy what you already own. Restyling reduces consumption; it's a luxurious form of recycling, but recycling all the same. I'd love to hear of any of your projects, past or planned. I have a few pieces of old heirloom rings in an art nouveau (secession) stlye. They will remain in my jewellery box for the time being. Since at this point in my life I much prefer to wear modern inexpensive, mostly, silver jewellery, I feel it's wrong to force a rash decision. I absolutely love the new ruby ring, what a fascinating setting. And your cuff is gorgeous. Duchesse, I LOVE your ring and cuff! I love the "gypsy" settings too. If I even need to rework some loose stones, would probably go that route with a nice cuff or bangle. 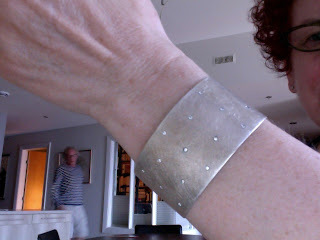 I love, love, love your cuff! That man of yours has such good taste. 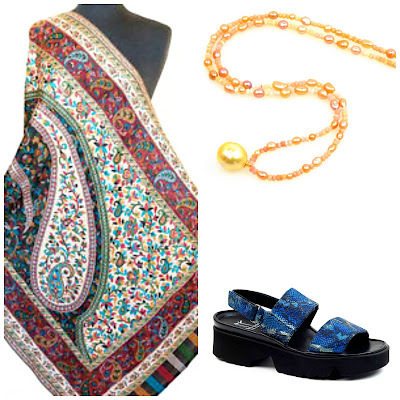 I think I'd wear that all the time, if I were mine, but then I think, "No, but Duchesse also has that wonderful Hermès orange enamelled bracelet -- it deserves a turn regularly as well." Decisions, decisions. . . I had the diamond from my first engagement ring matched with another diamond and a pair of earrings made. I don't see many emerald-cut diamond earrings, but I like and wear mine often. Duchesse, I love your bracelet! I wish I had a bunch of little stones I could use for something like that. No such luck, but I AM going to have some pearls restrung with colored silk as you showed in an earlier post. The anniversary cuff is a work of art! Le Duc has very fine taste! I have two vintage rings from the art deco period one in platinum with several diamonds and the other a blue sapphire and diamonds which I wear happily. I would not alter these because I feel they will hold their value in the original condition. I do appreciate modern designs...the tension setting is quite amazing the way the gem is set. Bravo Le Duc! That cuff is dreamy! I had some large 14K and 18K earrings from the 1980s that I was pretty sure I was never going to wear again. I had them melted down into a single, solid, 10mm wide bangle which I guess is about 16K on average. It weighs 32 grams. I have no regrets. I took a photo of the '80s earrings to make sure I'd remember them! My neighborhood jeweler charged me $350US for the melting and then fabricating of the bracelet. I paid a little more to have him add some additional gold (a couple of grams) to get the width I wanted. I think that price was a pretty good deal, so I thought I'd include it for anyone who might be interested in prices for such work. Wow. I really love your taste in jewelry! The ruby in the tension setting is just gorgeous and the cuff is amazing! That's a great idea to build an inspiration folder. This post will be my first entry. 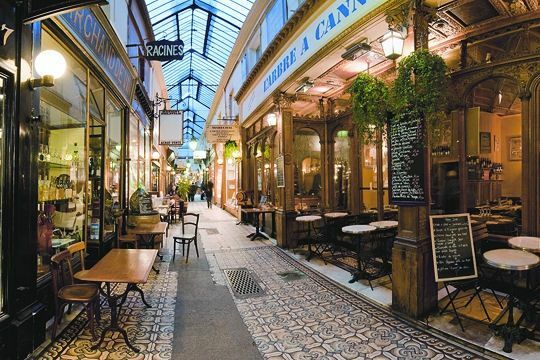 coffeeaddict: Perhaps you can mix them in with other less era-specific pieces such as chains and fairly plan bangles. Or, as you say, one day see them differently. Une femme: Thanks! 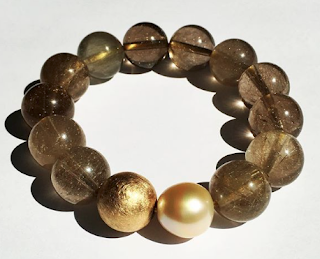 A bangle is a very hospitable home for stones; some women already have the bangle and just add the stones. materfamilias: Thank you; I do wear it often and am wearing mostly silver these days. SewingLibrarian: Emerald cut is probably my favourite, lucky you! And would love to see your restrung pearls. 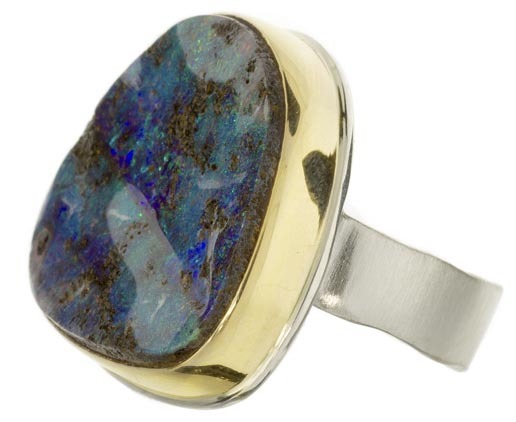 Hostess: I love vintage rings and have several; the one I restyled just didn't work on me. Yours sound beautiful. c: I am lucky to be married to a man who loves stones! rb: That is a terrific example that I hope motivates other readers. (I mean, who is going to wear those 80s doorknockers now?) And with the price of gold today, use every bit of it! Susan Tiner: The cuff and ring were made by the same jeweler. Glad this inspired you. The cuff has me sighing. But how to find a jeweler, around here, where I can just step back. That's going to be tough. LPC: I think you *think* it will be tough, but given where you are I'm guessing at least a half dozen Bay area jewelers would be candidates? You can also work long distance thanks to Skype, with jewelers in other cities. Oh the tension set ring and the cuff are fabulous! I have to agree with the comments about loving your taste. We almost redid my engagement ring in a tension setting, but in the end I am supremely happy with the wide band with a bezel setting off to the side that I have and I wouldn't change it for the world. I have a few things that need to be done and I will be taking them into my jeweler soon. I have realized that here I have a jeweler whose work I love and I should be taking advantage of the opportunity. Mardel: I have a particular love for offset and asymtrical settings. I find the ER/wedding ring set many women got in the 70s and 80s begs for updating. If there's one jewelry reno women might make that would be it. That and those little babyteeth pearls. Mardel: Forgot to say, pleeease show us when the restyling is done!